Is the Olympus TG-870 good for Landscape Photography? 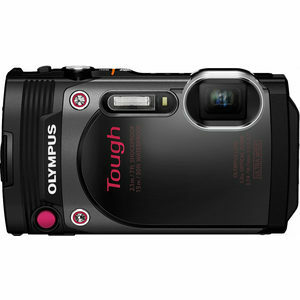 Olympus TG-870 has a score of 32 for Landscape Photography which makes it a POOR candidate for this type of photography. If Landscape Photography is important for you, we strongly recommend you to consider the Alternative cameras listed at the bottom of this page. Landscape photographers frequently turn back to a point where they had shoot a specific shot in different weather and light conditions. Recording these locations via GPS will help you find the exact spot later easier. Olympus TG-870's 16.0MP resolution is not ideal for landscape photography but you can still achieve large prints with good framing and technique. A correct exposure of a landscape shot is very important. Even though modern digital cameras features advanced algorithms to calculate the right exposure, they still may fail some difficult conditions. Lack of manual exposure mode in these conditions means lot of shadow and highlight clipping. Manual focus in landscape photography is very useful in order to have a sharp image and minimize the areas that are out of focus. Autofocus may not consistently give you the best results. Olympus TG-870's small sensor struggles in low light situations compared to larger sensors.